Our focus is on explicit finite element discretization of transient, linear hyperbolic systems in arbitrarily many space dimensions. 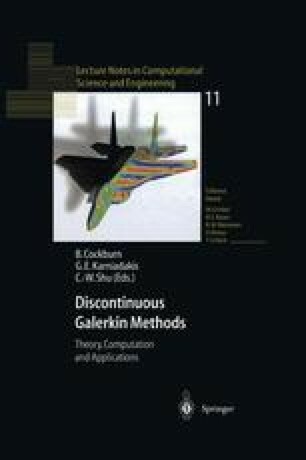 We propose several ways of generating suitable “explicit” meshes, and sketch an O(h n+1/2) error estimate for a discontinuous Galerkin method. Continuous methods are also considered briefly. This paper parallels  in large part, while using a different approach in the analysis. The authors were supported in part by NSF grant DMS-9704556 and DARPA grant 423685, respectively.